Sakuragi Hanamichi is a junior high punk used to getting into fights and being rejected by girls but upon entering high school he meets the girl of his dreams, Haruko Akagi. He will do anything in order to win her heart including joining the school basketball team that is aiming to conquer the nationals lead by Haruko's big brother. The problem is that Sakuragi has never played basketball before and a freshman sensation Kaede Rukawa the Super rookie is stealing the spotlight and Haruko's affection from him as Kaede and Hanamichi become lifelong rivals in both Basketball and love meanwhile Hanamichi excels and grows in a short period of time during his debut at Interhigh Games. Find out how he conquers Basketball. Takehiko Inoue (井上雄彦 Inoue Takehiko,, born 12 January 1967 in Okuchi, Kagoshima) is a Japanese manga artist, best known for the basketball manga Slam Dunk, which has become a success both in Japan and overseas. Many of his works are about basketball, Inoue himself being a huge fan of the sport, and many Japanese children started to play basketball because they read the manga. This in turn helped make basketball popular in Japan and across East Asia. Currently he's too busy to continue the Project further but assures all the fans that he will surely get Slam Dunk Anime back on track after he completes his other popular Manga projects. Please Like and download and Get listed here in this facepile of proud Slam Dunk Fans. The Downloads are no longer Available due to a server failure leading to all Archived videos Data loss. 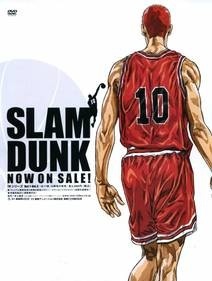 However you can watch the English Dubbed Episodes on the Slam Dunk English Dubbed Anime Watch Page. All the Videos will be posted on the Slam dunk watch Page. Make sure to tell all your Friends.